The Community Memorial Christmas Tree has been lighted on the first Sunday in December each year at Taylor Park, Spotswood Plaza, Orange, Virginia, beginning in 1978. The tree was donated and planted in the park by a local couple, Irwin and Welford Sherman, in memory of their son, David. In 1985 the Orange Rotary Club was charged with the management of the Tree, and has been doing so ever since. Each light on the Tree honors the memory of someone dear to you, someone you especially remember at Christmastime. The clear sparkling lights for the Christmas Tree are bought, and all operating expenses of the Tree are paid from a special endowment fund. Anyone may endow a light by making a payment of $30.00 dollars or more to the fund. This onetime payment will endow your light permanently. 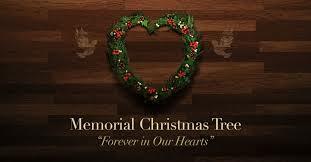 Please contact Community Memorial Christmas Tree at P.O. Box 1312, Orange, VA 22960. We can also be reached at this e-mail address OrangeRotaryClub@gmail.com. If you would like to purchase a light for the tree for a loved one, click to this link . TIP - You can use the search box at the top of this page to look for individual listings.